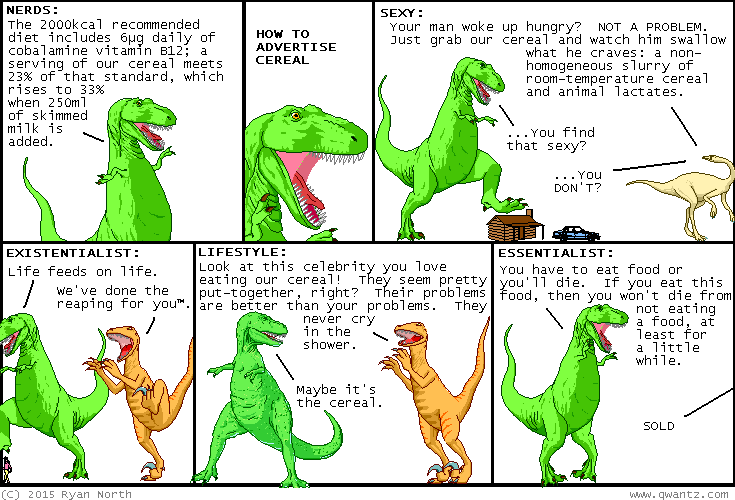 Dinosaur Comics - October 28th, 2015 - awesome fun times! October 28th, 2015: I'd like to thank cereal for inspiration, and for being relatively tasty. One year ago today: the sun shone, having no alternative, on the very nice boat.